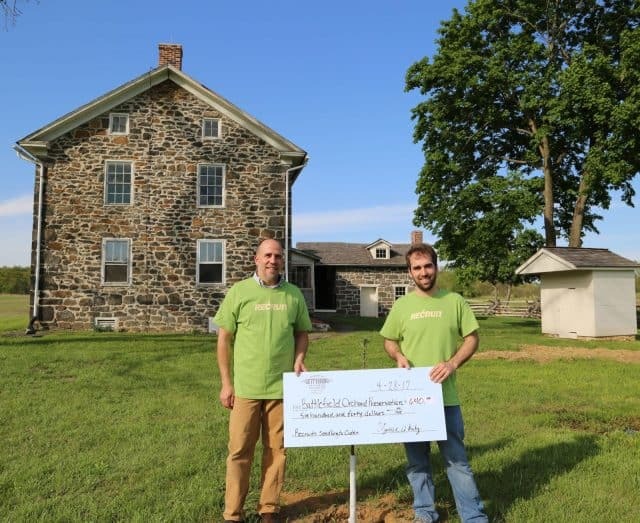 Gettysburg Foundation’s Recruits recently reaped the benefits from their special reserve batch of Centennial Cider, raising $640 for preservation of the orchards on the Gettysburg battlefield. This is the second philanthropic donation from this burgeoning group, who donated over $800 toward orchard preservation in December. 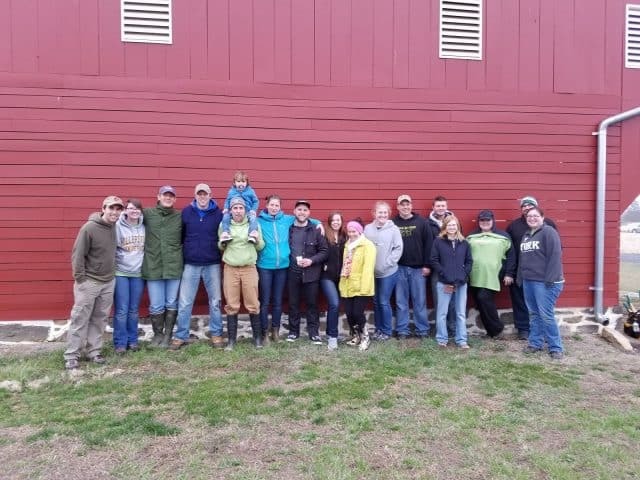 Thanks to a strong partnership with Good Intent Cider and its owner and cider master, Adam Redding, the Recruits have been crafting and selling cider for the past two years. Apples for the cider are harvested by Recruits from the Rose Farm orchard on the Gettysburg Battlefield and then go with Adam to work his cider magic. Recently, the Recruits replanted the historic fruit orchard at the George Spangler Farm thanks to the funds raised on #GivingTuesday. The Recruits, along with Adam, will be the primary caretakers of this orchard, which is now part of their Seedling to Cider project. The newest batch of Rose Farm Orchard cider is now available for purchase by contacting Ben Hansford at bhansford@gettysburgfoundation.org. It is also available at Good Intent’s Cidery in Bellefonte, PA.
Gettysburg Foundation is a nonprofit educational organization working in partnership with the National Park Service to enhance preservation and understanding of the heritage and lasting significance of Gettysburg. The Foundation raised funds for and now operates the Museum and Visitor Center at Gettysburg National Military Park. In addition to operating the Museum and Visitor Center, the Foundation has a broad preservation mission that includes land, monument and artifact preservation and battlefield rehabilitation—all in support of the National Park Service’s goals at Gettysburg.